Hi folks, today article is very special for smartphones lovers. Just about every one of us carries one model or another, and not all mobile phones are created equal – with some of them boasting of the functionality to be able to go via plenty of punishment, like the Kyocera DuraForce. Having been announced to develop its way over to AT&T in a several days’ time (November 7th to be exact), this is one tough & rugged handset that isn’t only waterproof, it will also be able to perform on AT&T’s 4G LTE network. 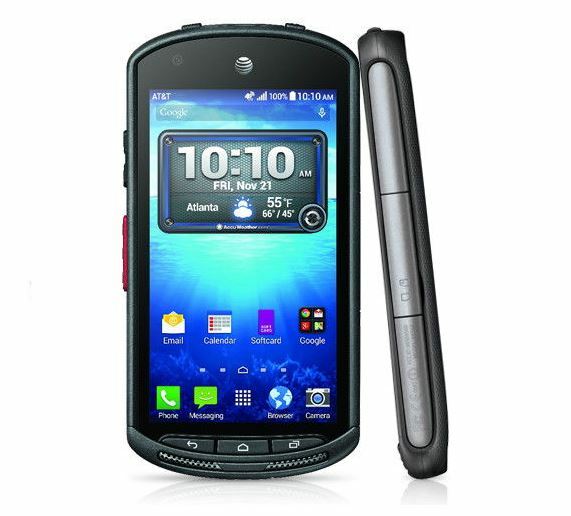 The Kyocera DuraForce happens to be the first unit that is made available at AT&T which takes benefits of Kyocera’s expertise when it comes to the world of ruggedized and reliable phone. Expect to be able to provide home the DuraForce for nothing at $19.95 per month on a Next 12 contract, while you also have the choice of picking it up for $389.99 as an unlocked device. For those who desire the middle route, so to speak, the Kyocera DuraForce will retail price $49.99 with a standard 2 year agreement. Hardware specs of the Kyocera DuraForce include conformity to Military Standard 810G & IP68-certified standards, making it dust proof, waterproof and being able to remain under water for up to half an hour at a maximum range of 6 feet (1.8 meters). It will run on Android OS 4.4.2 KitKat, has a Qualcomm Snapdragon 400 1.4GHz Quad-Core Processor, 16GB of internal storage, a microSD memory SDcard slot, a 3100mAh Lithium Ion battery, and a 4.5-Inches 720p HD impact-resistant touchscreen.